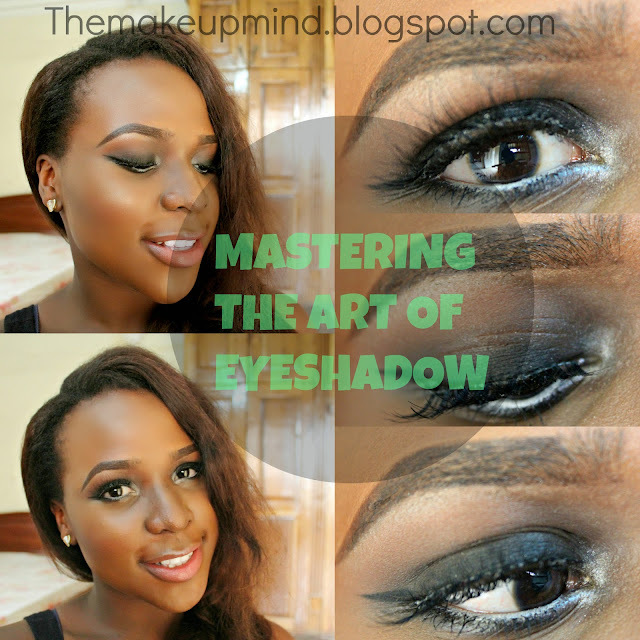 The first thing you need for that perfect eyeshadow look is to get the perfect brows. Your brows are the frames to your eyes and its importance cannot be emphasized enough. Before applying eyeshadow you first need to apply an eyeshadow primer. This is similar to the face primer but its specially for the eyes. It creates a nice base for your eyeshadow to be easily applied on. It helps to make your eyeshadow last longer and also prevents it from creasing so your eyeshadow can stay put all day and night! Cool right? I just rhymed. lol! You would need good quality eyeshadows. When I say "quality" it doesnt need to be expensive. It just needs to be a good product. There are so many drugstore brands that have wonderful and pigmented eyeshadows. It won't hurt to get some nice high end one's like Mac and Urban decay. They are worth every penny! You need good quality tools. Makeup brushes make eyeshadow, eyeshadow pigments and even glitter application a whole lot easier. I know they can be quite expensive but there are some brands that create nice and affordable tools like Real techniques, Elf and Bh cosmetics. There are also very good high end ones like Mac, Bobbi brown, Em and Sigma. You'd be surprised at how much difference the perfect tools make to your eyeshaow. It gives your eyeshadow that artistic touch. Let your imagination run wild! We all know makeup is an art and the best art works are a product of inspiration and the imagination.You can be inspired by anything! 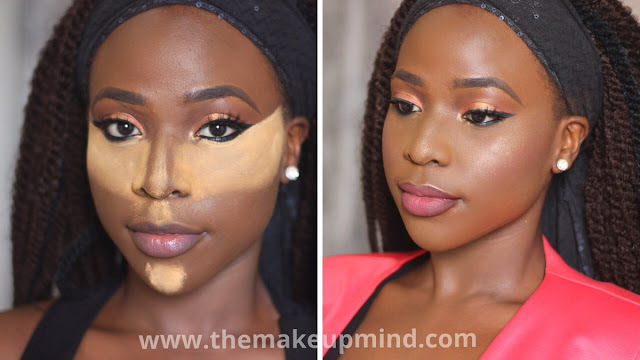 makeup has very little limits so don't be afraid to splash on some colours on those lids because you could just create a masterpiece. If you can't imagine a look you could just recreate one that someone else has done, I also do that sometimes when i'm too lazy to be inspired hehehe. Blend! Blend! Blend! There is no such thing as "over blending" your eyeshadow. When you look in the mirror and see that you'v blended your eyeshaow well enough, blend again. This can be done with a blending brush. Blending is the easiest thing to do but can make a huge difference in your eyeshadow look. It could change your look from graffiti to a DaVinci painting. Yup! its that cool. Yaaay! Go girl. Really love this. Thank you so much for this!!! I recently cut my hair and I have decided to start using make up to properly rock the look. This is a great start. Keep it up!! Looking forward to reading more. Nice! Pls what app did you use to edit/collage your picture?